Hands down my favorite book of the entire year is Sheryl Sandberg’s Lean In. Having read all of the early buzz (and criticism) surrounding Lean In, I made it my business to buy a copy, and I have been recommending it to friends and family ever since. It is not only a personal narrative/journey about a talented and determined woman. It is also a manifesto for any woman ambitious enough to dream about a career while doing what is necessary to achieve her dream. The book is inspirational, motivational, and practical. 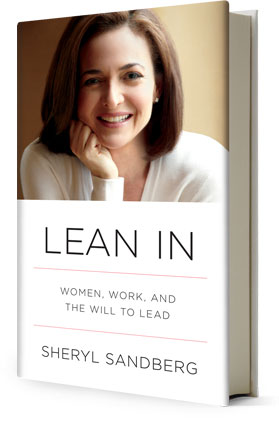 If you have not read Lean In, it is not too late to add it to your summer reading list. This entry was posted on July 15, 2013 by principalaim in Business, Collaboration, Leaders, Leadership, organization, organizational leadership, partnership, Quotes, Reading, Teamwork, Uncategorized, women, Writing and tagged Business, CEO, Facebook, feminist, gender, gender equality, Google, leaders, leadership, Lean In, organizational leadership, Pregnancy and maternity leave, reciprocity, Sheryl Sandberg, woman, women, workplace equality.